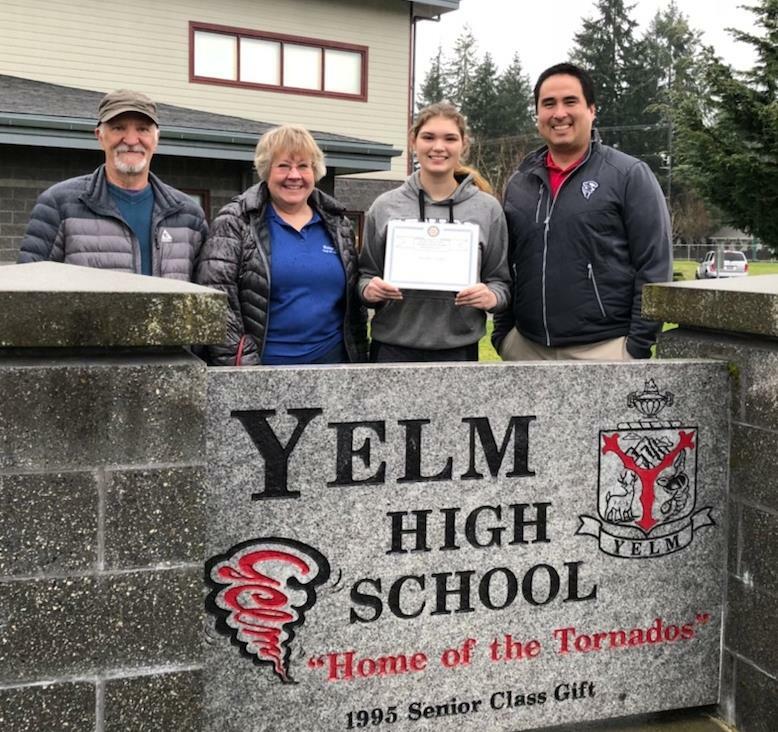 Corrine Hennessy is another one of the outstanding Yelm High School (YHS) seniors and we are proud to honor her as our April 2018 Student of the Month. 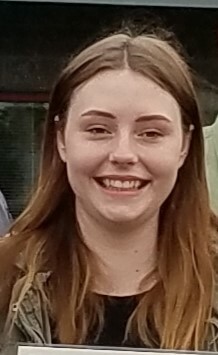 She is a proud member of many groups on the YHS campus including the Sports Medicine program and FFA, and will be heading off to the FFA state competition at WSU this month. 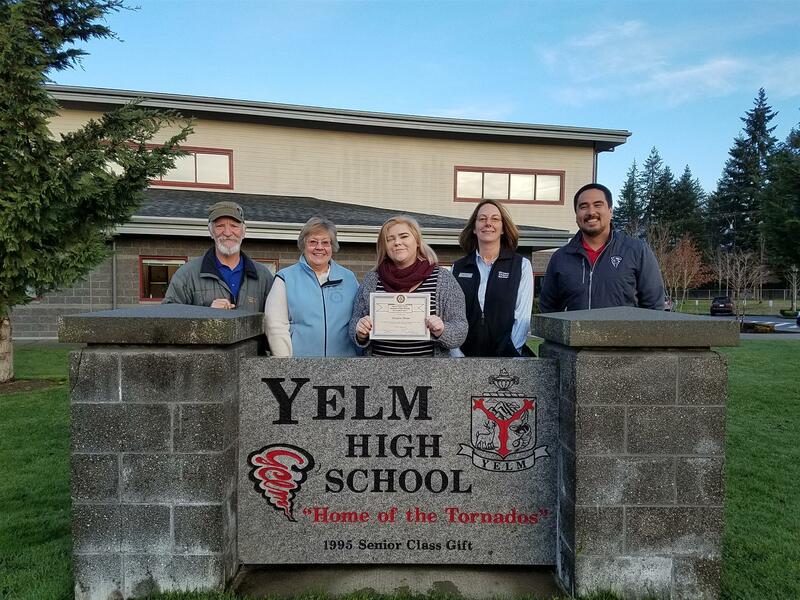 She has selflessly given many hours of her time to serve Yelm High School and the people of the Yelm community. Corrine will also be honored on Tuesday, May 8th at the City of Yelm - Government's City Council Meeting. 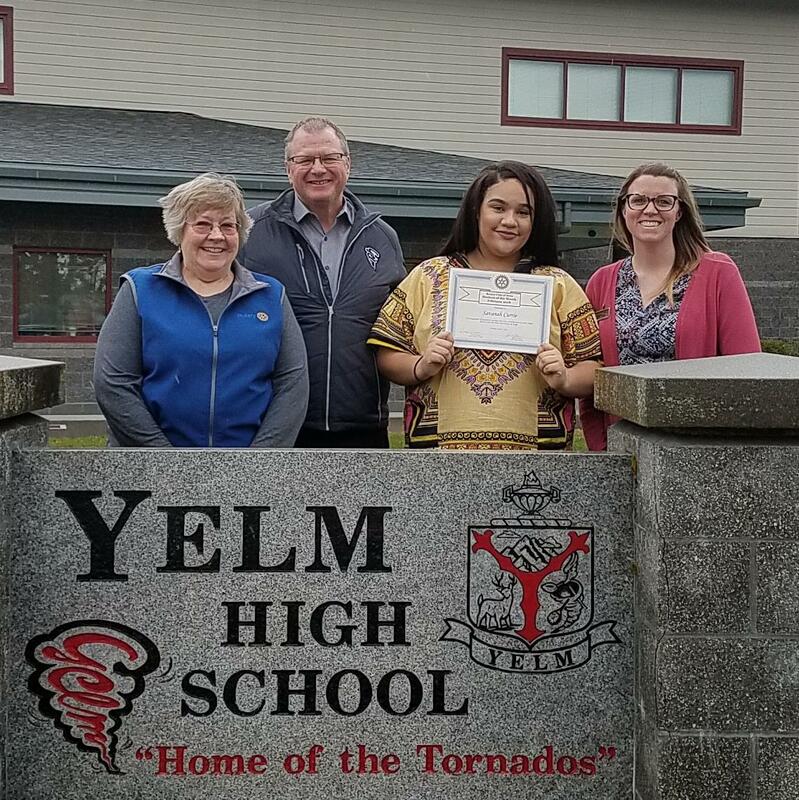 Dahlia Young, a senior at at Yelm High School(YHS), is our March 2018 Student of the Month. 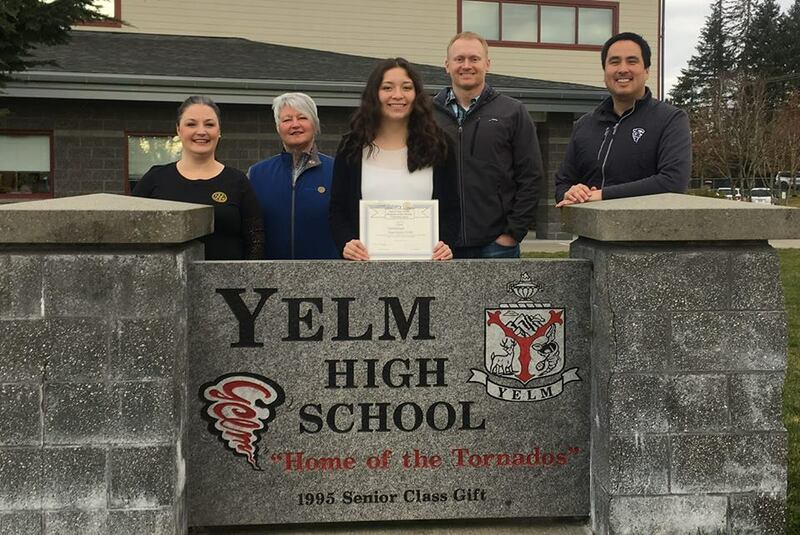 Dahlia is a force to be reckoned with at Yelm High School(YHS). She is always at the forefront of school activities, leading assemblies, staring in the theater productions and helping in any way she can. She is the Drama Club VP as well as the Honor Society President. She was also Junior Class Secretary & is currently the Senior Class Historian. She has immersed herself in our school in order to serve others and has been an incredibly positive influence on the YHS culture. Dahlia will be heading off to college next fall to at UW. Dahlia was honored by our business partners Walmart Yelm with a gift card and Olympia Federal Savings with a savings certificate. He will also be honored on Tuesday, April 24th at the City of Yelm - Government City Council Meeting. 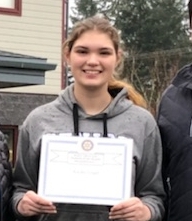 The Rotary Club of Yelm is pleased to announce our February 2018 Student of the Month, Savanah Currie. 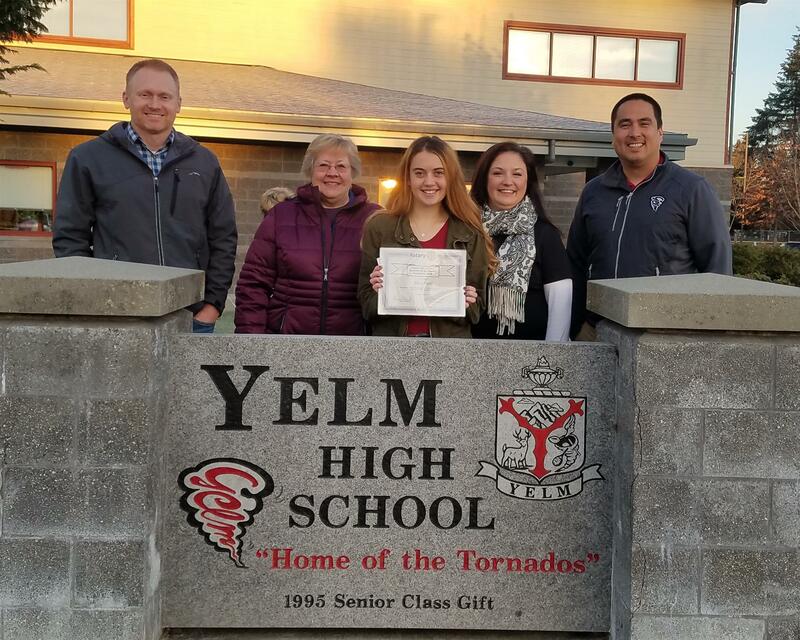 Savanah is a bright, down-to-earth and determined Yelm High School(YHS) senior who is headed off to Central next fall to study Psychology. 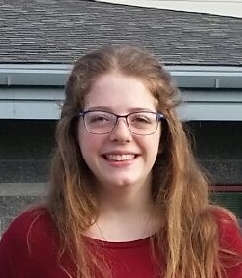 She is the president of YHS’s DECCA association and will be volunteering at Yelm Community Service’s Food Bank this spring with her DECCA club. She has also volunteered at the Special Olympics. CWU will be lucky to have her! Savanah was honored by our business partners Walmart Yelm with a gift card and Olympia Federal Savings Bank with a savings certificate. He will also be honored at Tuesday, March 13 City of Yelm - GovernmentCouncil Meeting. We are happy to announce our January 2018 Student of the Month, Hayden Duncan. 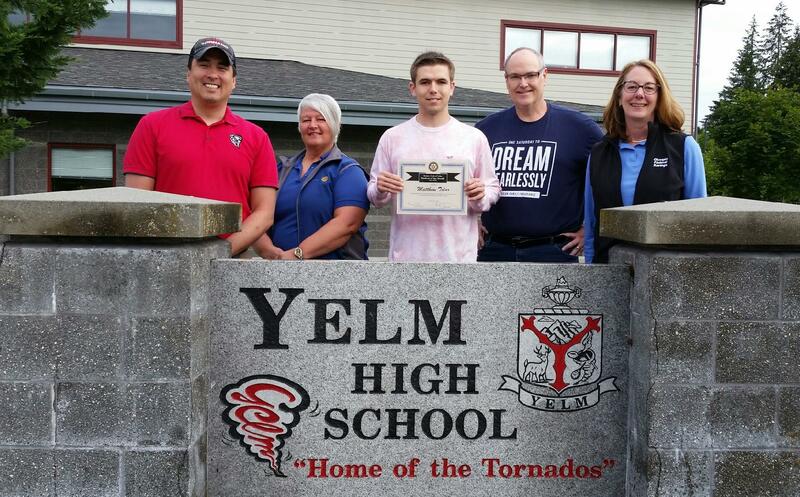 Hayden is an outstanding senior at Yelm High School(YHS) whose teachers were very happy to recommend him for the student of the month. He has volunteered at the Dollar For Scholars auction the last two years and has spent numerous hours volunteering at Prairie Elementary in his mom’s classroom. He also worked the levy auction at Schorno Farm. Hayden will be heading off to college next fall to study general medicine. Hayden was honored by our business partners Walmart Yelm with a gift card and Olympia Federal Savingswith a savings certificate. 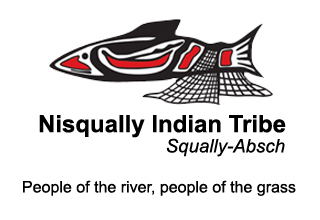 He will also be honored at Tuesday, February 13 City of Yelm - Government City Council Meeting. 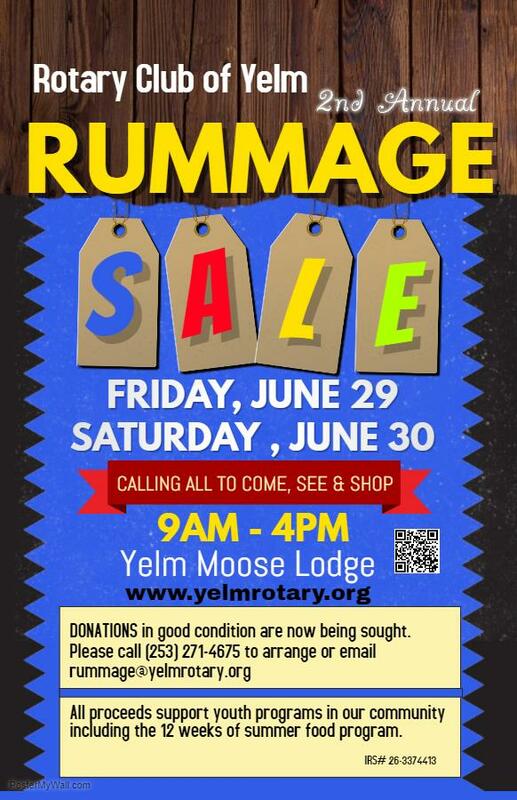 Friday, June 29 and Saturday, June 30 at the Yelm Moose Lodge. 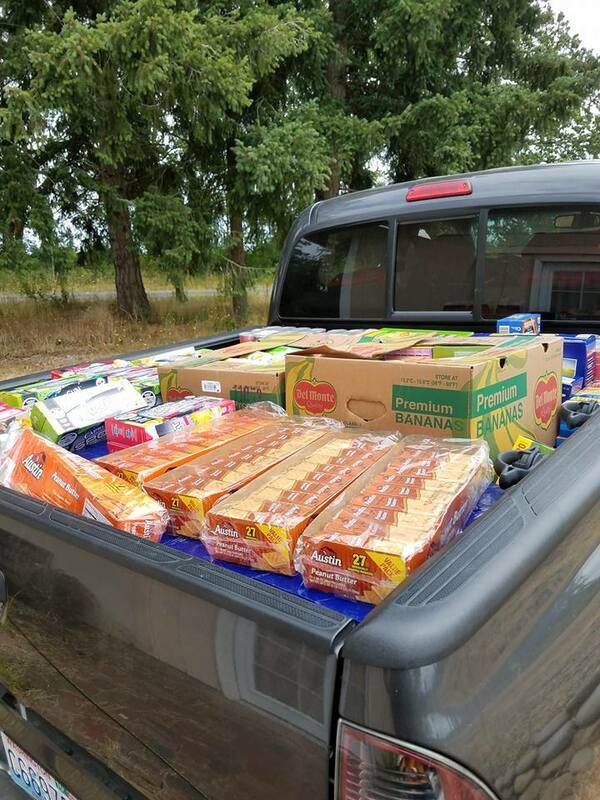 The proceeds raised by our Annual Rummage Sale go to our greater Yelm Community through our "12 weeks of Summer" food program (in 2017 we distributed nearly 1800 bags), scholarships, youth programs, aid to homeless and much more. Come SEE, SHOP & BUY! 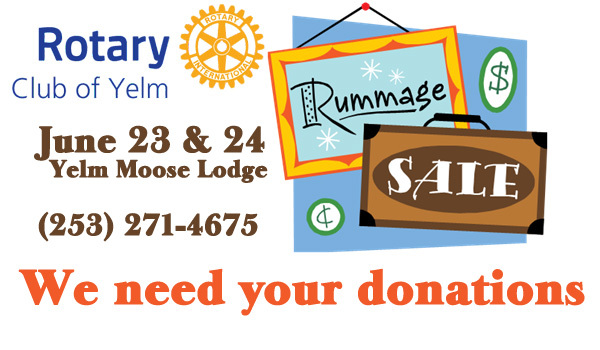 Have something to donate --- please contact us at rummage@yelmrotary.org or call (253) 271-4675. VOLUNTEERS ARE NEEDED! if you would like to help us we would love to have you. 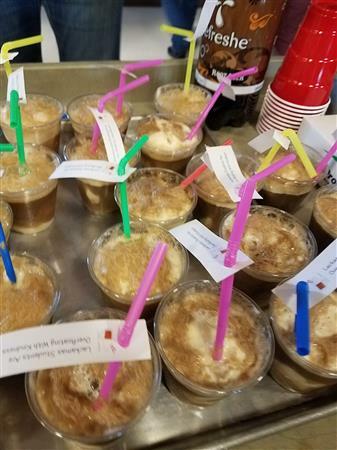 We set up during the week and there are some "rewards" for our volunteers. 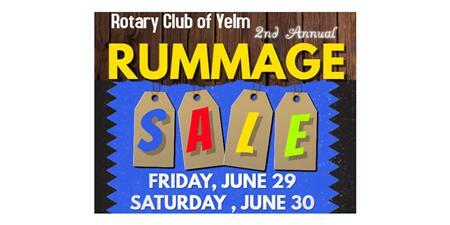 email us at rummage@yelmrotary.org for more information. We are honored to announce our December Student of the Month, Kaylee Logan. 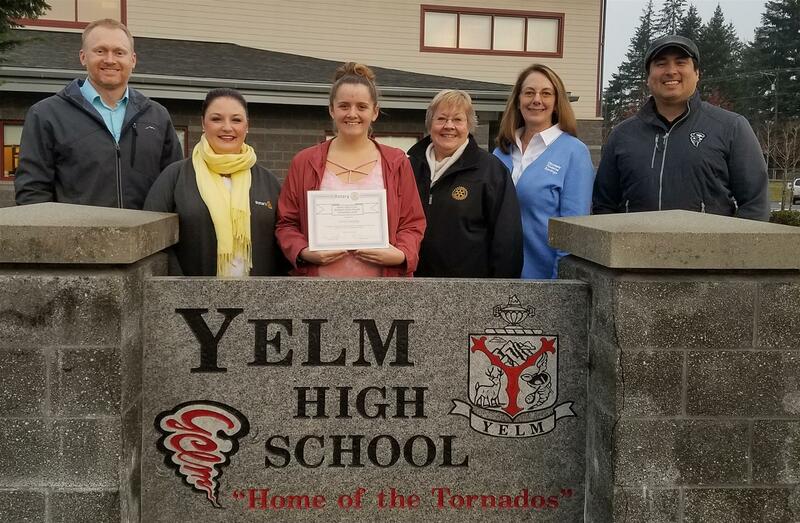 Joining in this recognition is Walmart Yelm with a gift card, Olympia Federal Savings with a savings certificate and Kaylee will also be honored at an upcoming Yelm City Council Meeting by the City of Yelm - Government. Congratulations to you, Kaylee and best wishes for a wonderful future. Thank you to all for stepping up and supporting our club! 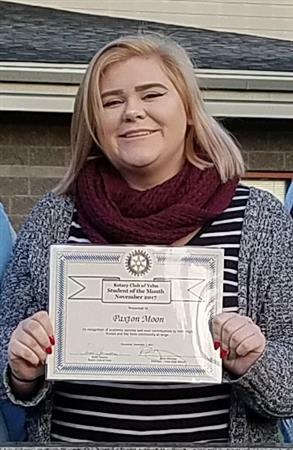 We are honored to announce our November 2017 Rotary student of the month, Paxton Moon. Paxton is another one of our wonderful, outstanding seniors at the greatest high school in the world. This fall she has been extremely busy filling out college and scholarship applications and working 30 hours a week, all while maintaining great grades in her running start classes. What makes Paxton stand out even more is her commitment to community service. 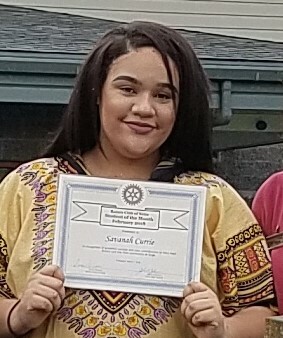 She effortlessly weaves her love of helping others into her extremely busy schedule, logging well over 200 hours of community service during her high school career. Her dream is to go to law school and eventually become a Supreme Court judge. Paxton is already an amazing young woman and she is well on her way to an even more amazing future. 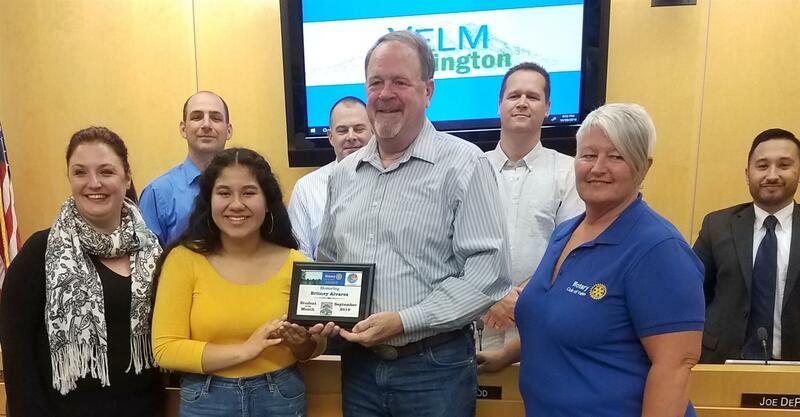 Joining in this recognition was Walmart Yelm with a gift card, Olympia Federal Savings with a savings certificate and Paxton will also be honored at an upcoming Yelm City Council Meeting by the City of Yelm - Government. Congratulations Paxton! The Rotary Club of Yelm is pleased to announce our October 2017 Student of the Month, Jared Cullum. 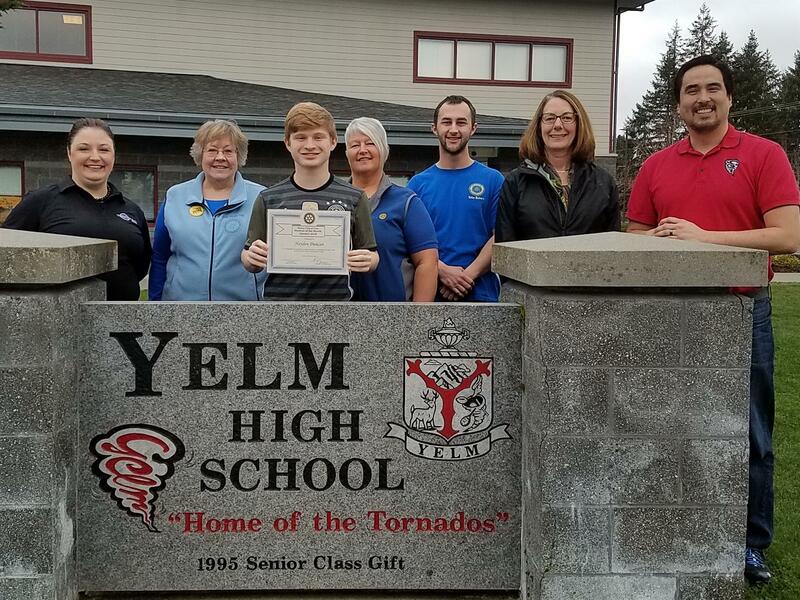 Jared was selected as the October 2017 Rotary Club of Yelm Student of the Month through the YHS Leadership program. Jared maintains stellar grades while balancing challenging classes along with wind ensemble and graphic design – in other words, he is well-rounded academically. Jared is also very involved in the community. He has 250+ hours of community service and is no stranger to staying late to help clean up after an event. Jared was the Senior Patrol Leader in Boy Scout Troop 268 where he participated in ten different Eagle Scout Projects, Flag Ceremonies on Veterans and Memorial Days, and many community service activities hosted by the Yelm Lions Club. 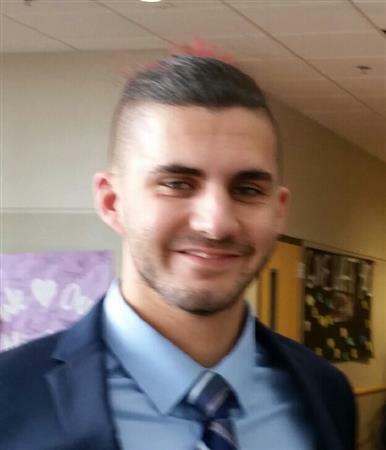 He is now an Assistant Scoutmaster and hopes to continue his involvement in the community in any way he can. Jared also helped to fix our tv/video screens in the commons and the office so they could once again be used for announcements! All of this is likely why he was chosen as the Rotary Club of Yelm Student of the Month. As this months Student of the Month, Jared received a gift card from Walmart Yelm and a savings certificate from Olympia Federal Savings. 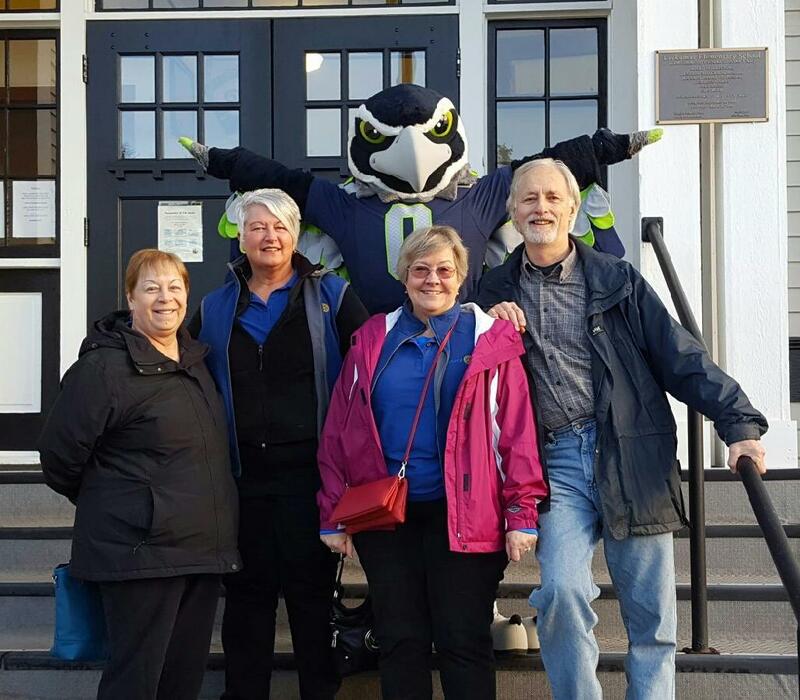 He will be recognized the the City of Yelm - Government at an upcoming City Council meeting. Congratulations Jared! 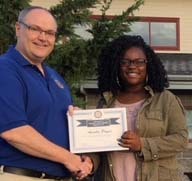 We are honored to announce Anisha Payne, as our September Rotary Student of the Month. 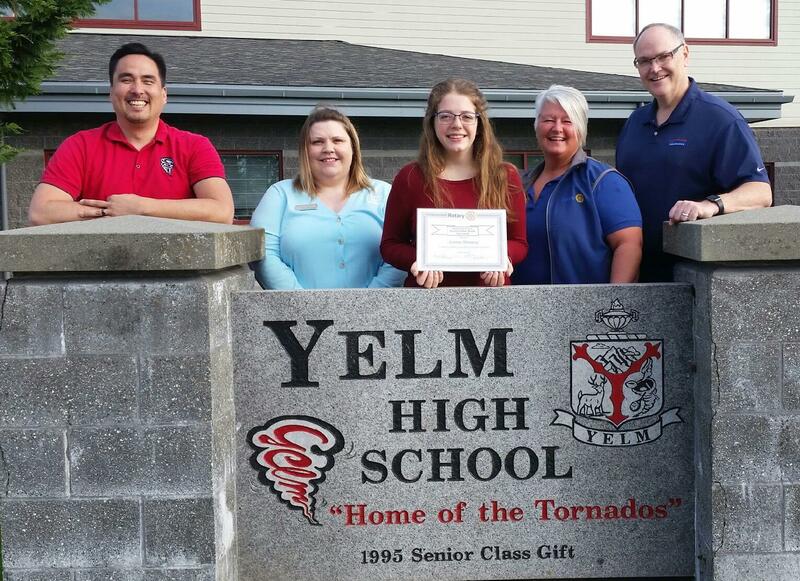 Anisha Payne, class of 2018, embodies the qualities of an outstanding Yelm Tornado senior. She strives to always be her best self and her high energy and determination is obvious in all she does. A Link Crew leader this year, she is passing the torch onto our younger students and infecting them with her enthusiasm about the greatest high school in the world. She stands out on the field in the marching band, will be in the upcoming play at school and manages the football team all while maintaining good grades. She was also on our Homecoming court this year. We are proud that this respectful student has been honored with Student of the Month. 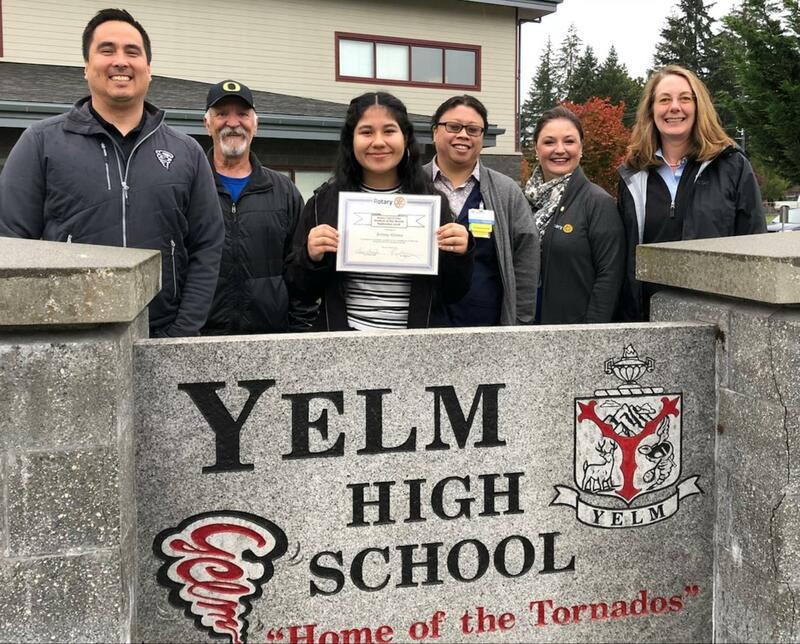 Anisha received a gift card from our sponsor, Walmart Yelm and will be recognized by the City of Yelm at their City Council meeting on Tuesday, October 24th. 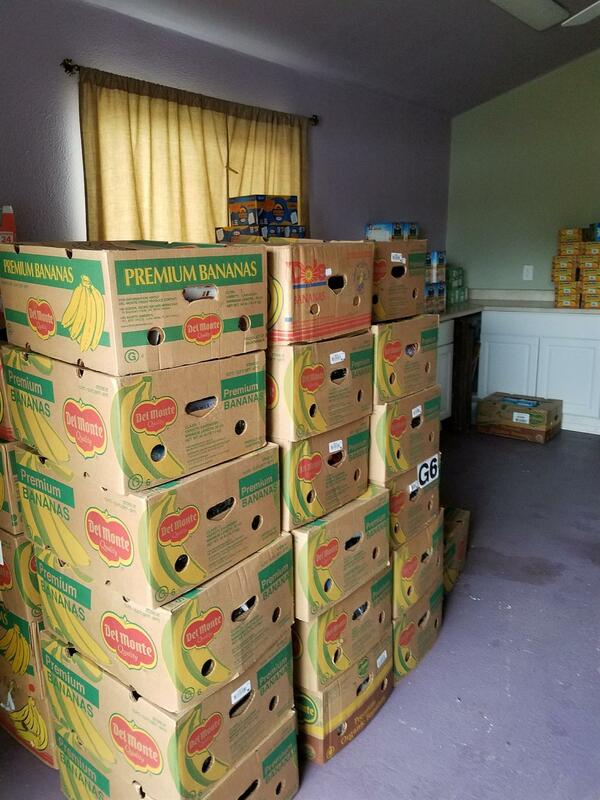 Week 9 of our 10 weeks of Summer food distribution. Our members during our weekly distribution of food bags. Thanks Tess Street-Faughn, Kim Lyle, Sandi Ramey Hanson, Micheline Corteville, Andre Lyle, Tom Dewell and Giovanni. 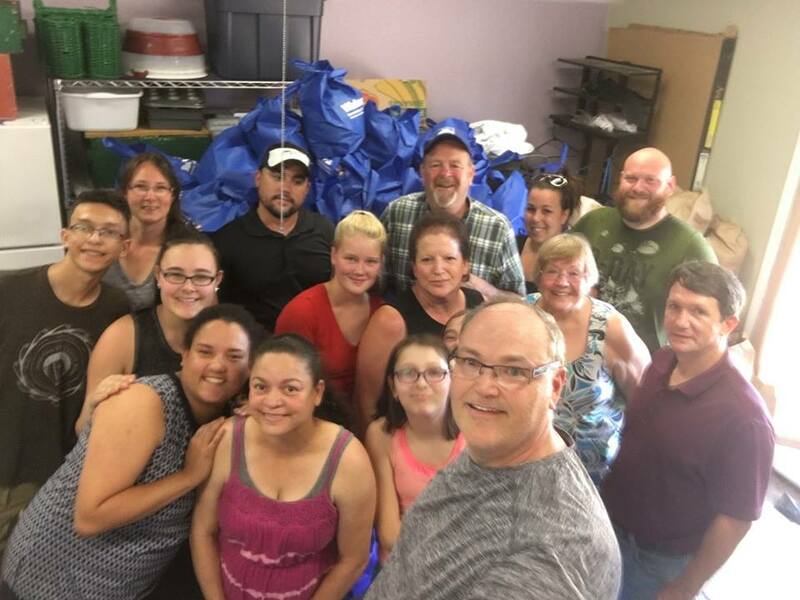 Thank you to our great bagging crew Jessica, Jeremiah, Angelina, Savannah Walker; Steve Dobosz Andre Lyle, Larry Hanson and Sandi Ramey Hanson. Week 8 food bags are all ready! 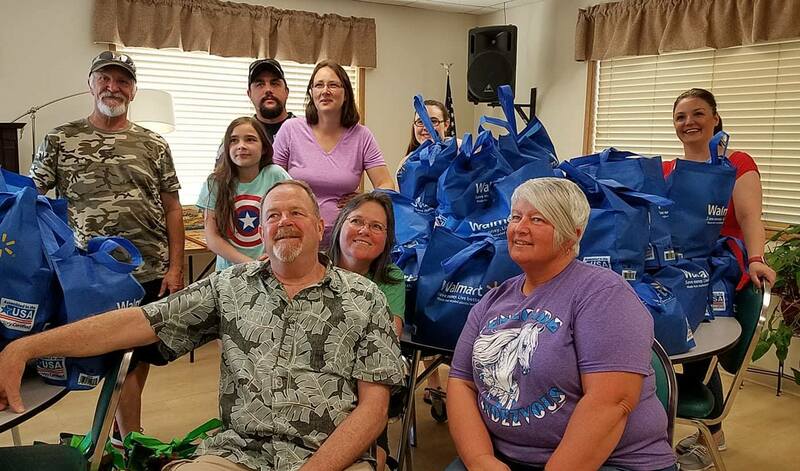 Thank you to our great bagging crew Jessica, Jeremiah, Angelina, Savannah Walker; Madison Rodriguez; Alexandria Calvin, Ken McCulloch, Larry Hanson and Sandi Ramey Hanson. You guys Rock. Also thanks to Floyd Sheldon for getting everything ready. Tuesday will be our 8th distribution this summer. We will be delivering 160 bags to kids in our community. 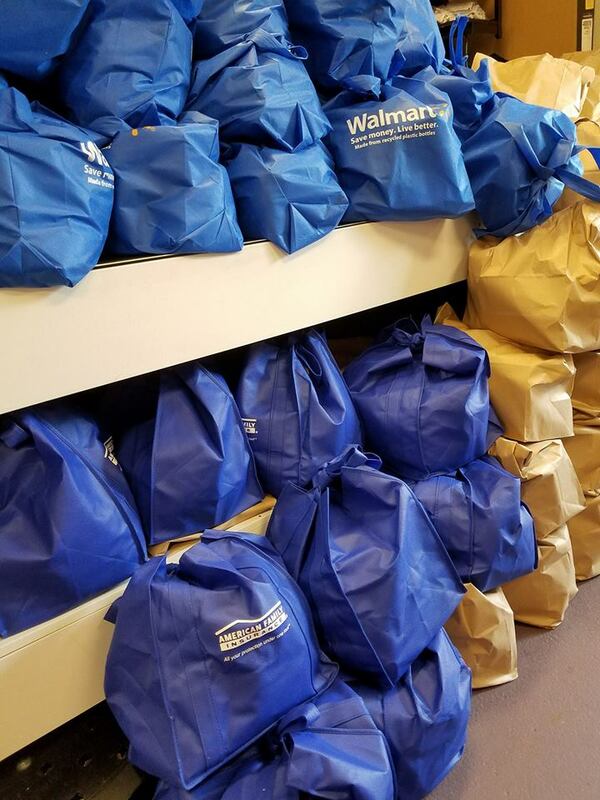 Each week we shop, sort, bag and deliver 150-160 bags to low income families in our community. Our community has been extremely generous with their support and time. 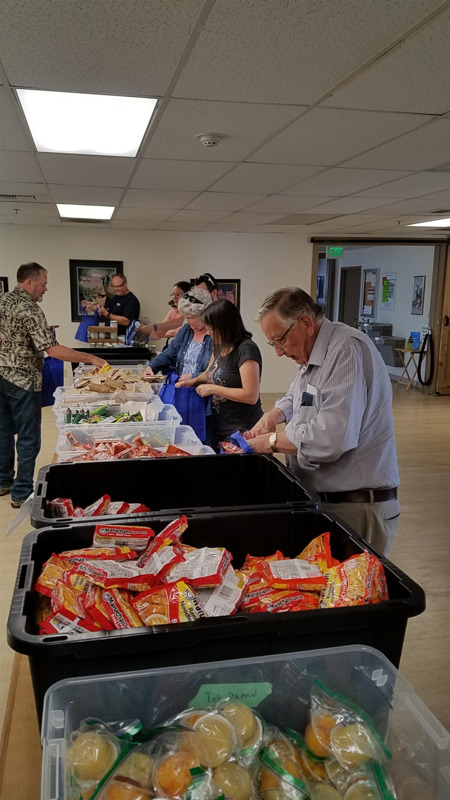 Week 7 food bags are ready for distribution thanks to these amazing volunteers. Thanks for giving up part of your Sunday to help us. The families that we are supporting with the 150 food bags we do each week have been very grateful. This is a wonderful program and I hope all our club Rotarians will participate. 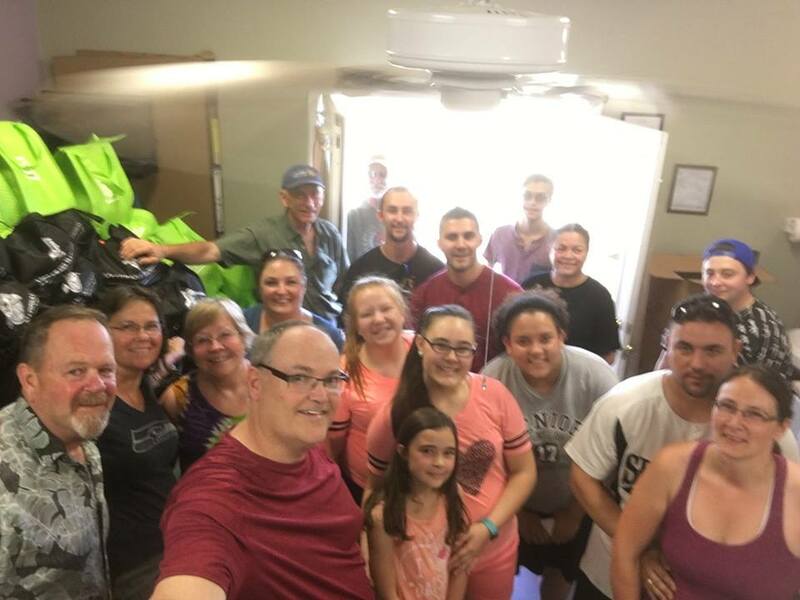 We had an amazing crew for our 5th week of packing bags. They all helped us get the 160 bags packed and ready in no time! This week our bag sponsors were Olympia Federal Savings and Veterans Lending Group. 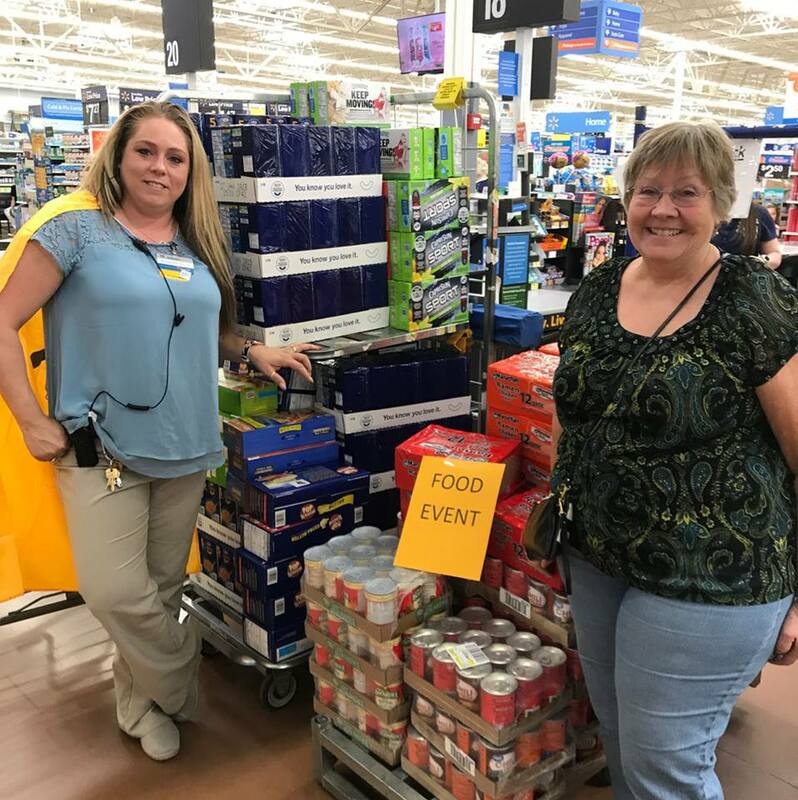 We are very appreciative to Walmart Yelm for all the support they have given us. Distribution was done on Tuesday and we had 2 crews - one a the Nisqaully Pines and the other at the Carlson Cabin. Here is the crew at the Pines. Another successful bagging party for our 10 weeks of Summer food program. 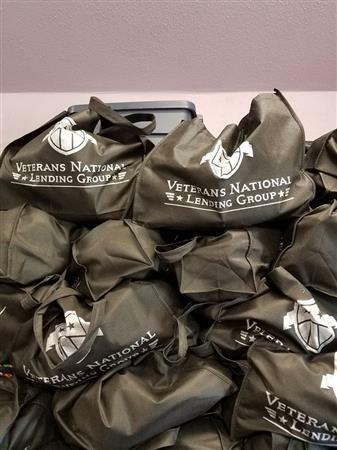 Thank you Veterans Lending Group for the donation of bags and your time. We appreciate it. We started our week with a shopping trip to Walmart Yelm . They helped fill our list and stuff our truck. Manager Kim wears a cape for a reason! She was so gracious. 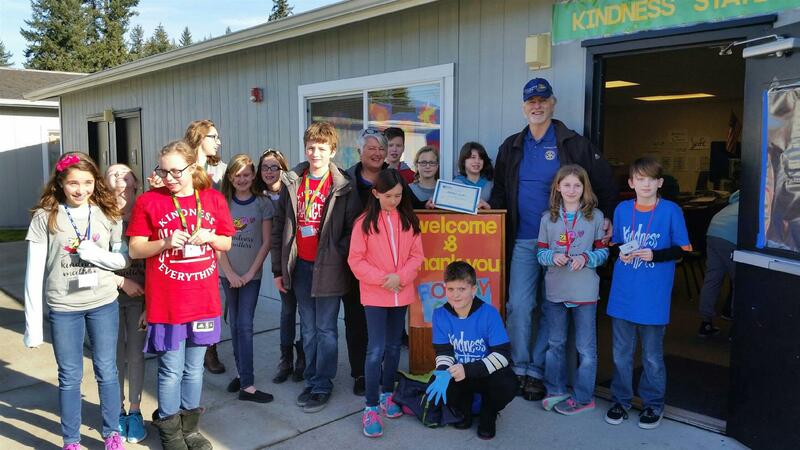 The Rotary Club of Yelm has been supporting homeless and under-served children in the Yelm Community School District for several years. Our main club goal is to help youth in our community. 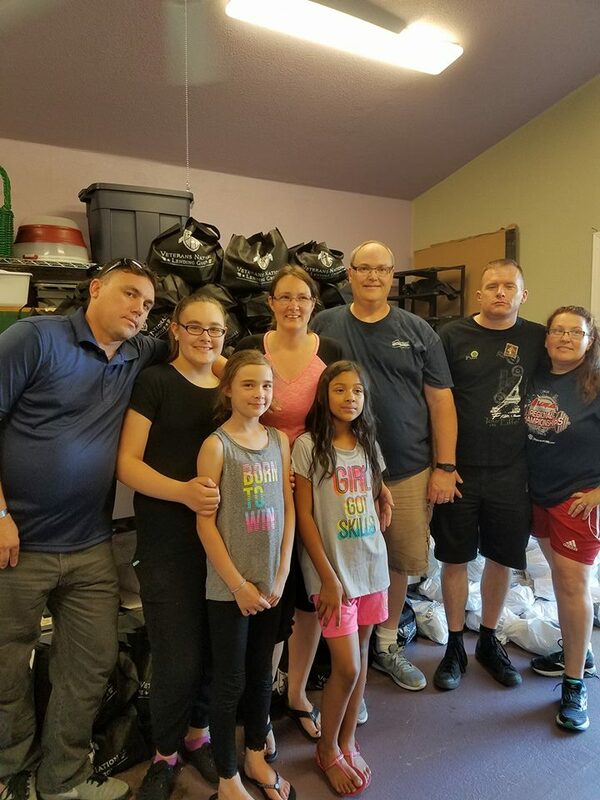 We support them with scholarships, snack and supply programs, clothing and hygiene drives, and support the weekend food program of Homeless Backpacks at the high school, middle schools and extension school. 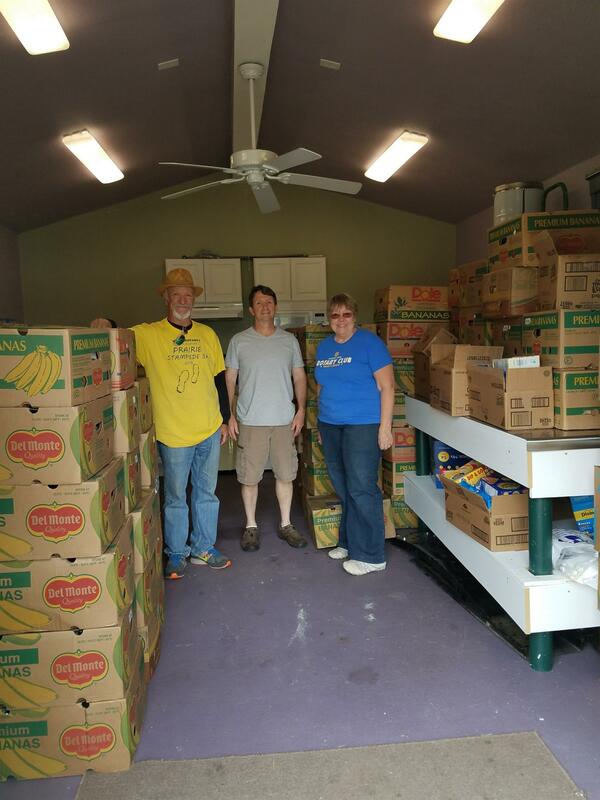 This summer we are expanding our support by adding a summer food program. 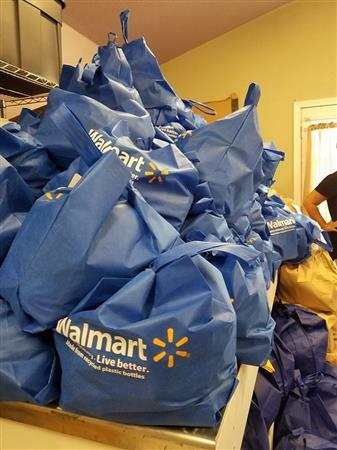 Our “10 Weeks of Summer” food program will provide weekly food bags to children in need in our community. 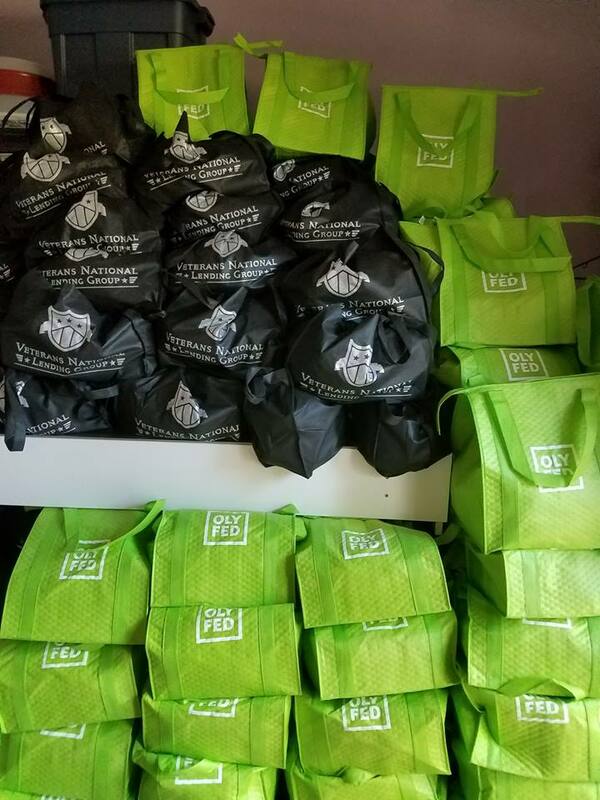 Many of the kids who will receive this bag don't want summer break because they know they won't get breakfast or lunch like they do during school in the food program. Food insecurity is a real concern for these children. 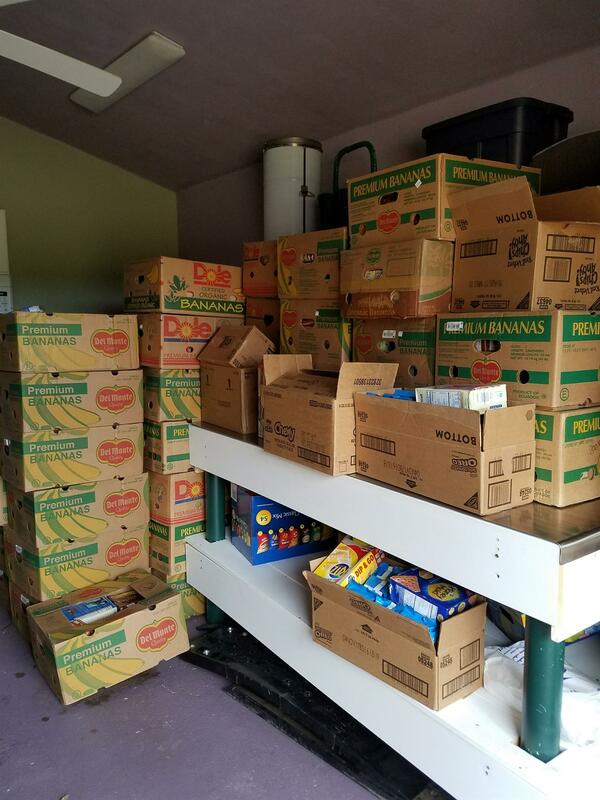 Since our area is very rural, when the students are home during the summer, the free and reduced lunch programs they receive at school are not available. Also due to the rural location of student’s homes, and lack of public transportation, it is challenging for the students to access the local food banks and/or the free dinners provided by local churches. Our goal is to make it easier on these families and provide them something on a regular basis. 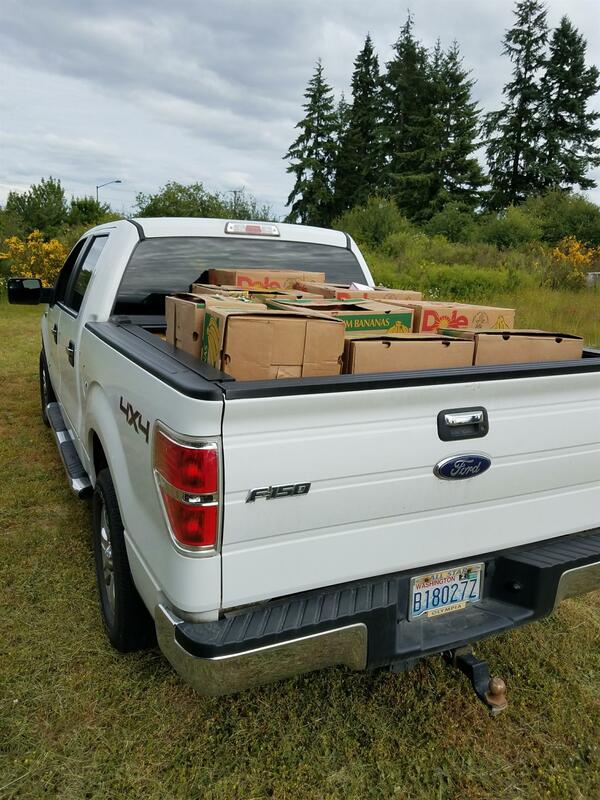 We are currently working with the Yelm School District, the Yelm Lions Club, Yelm Community Services and others to provide a bag of food each week. 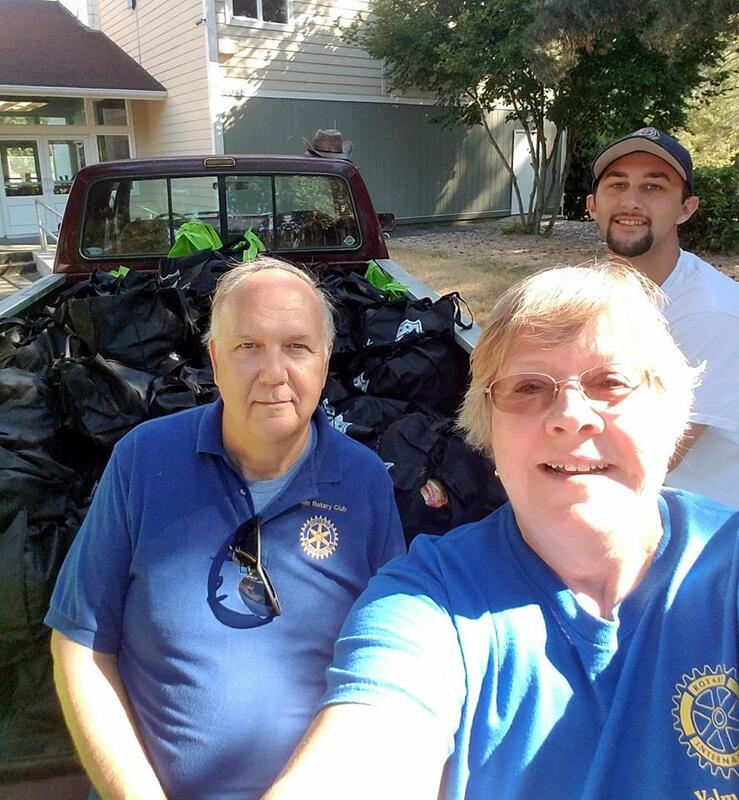 Rotary club members will aid in the collection, assembly and distribution of weekly food bags. We are also working with local businesses and business groups to help support this program. 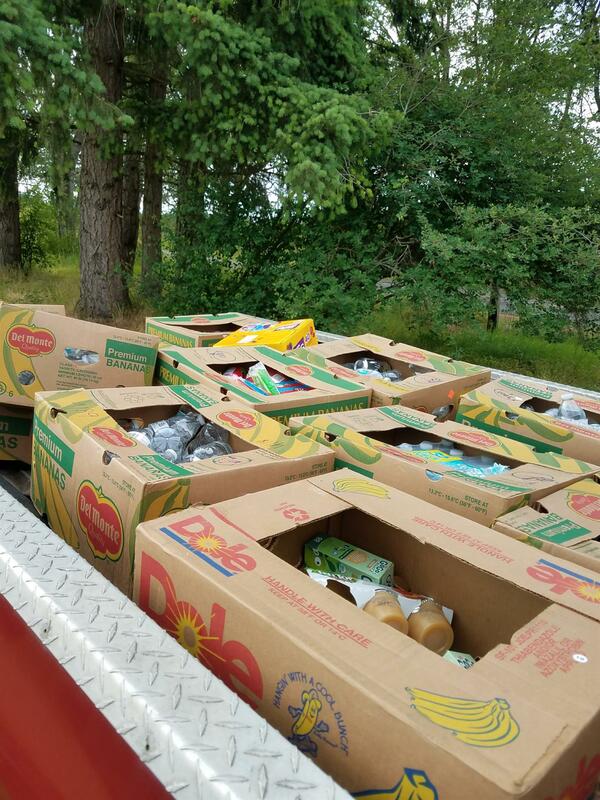 Cash donations and food can be dropped off at Timberland Bank in Yelm. 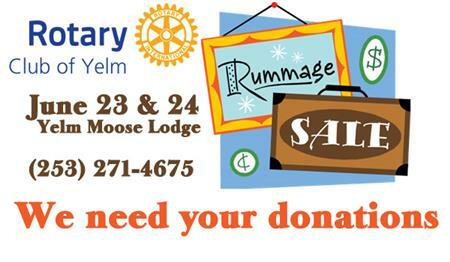 Donations can also be made online at www.yelmrotary.org or by mail to Rotary Club of Yelm, PO Box 2534, Yelm, WA 98597. 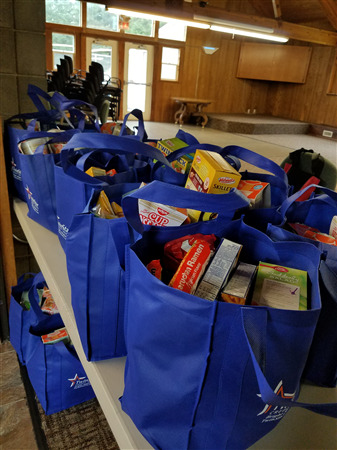 Distributions take place on Tuesdays from 10am to Noon at the Nisqually Pines Clubhouse 8903 Pepperidge Lance SE, Yelm and at the Carlson Scout Cabin, 301 Yelm Ave, Yelm. 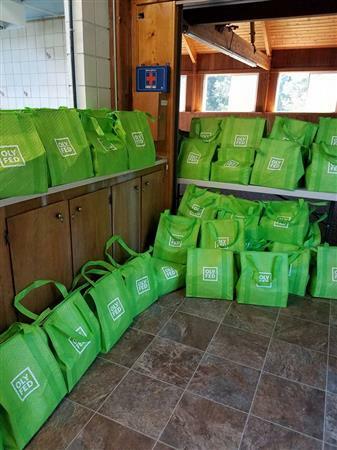 Some of our bags at our first distribution at the Nisqually Pines Clubhouse on June 27th. 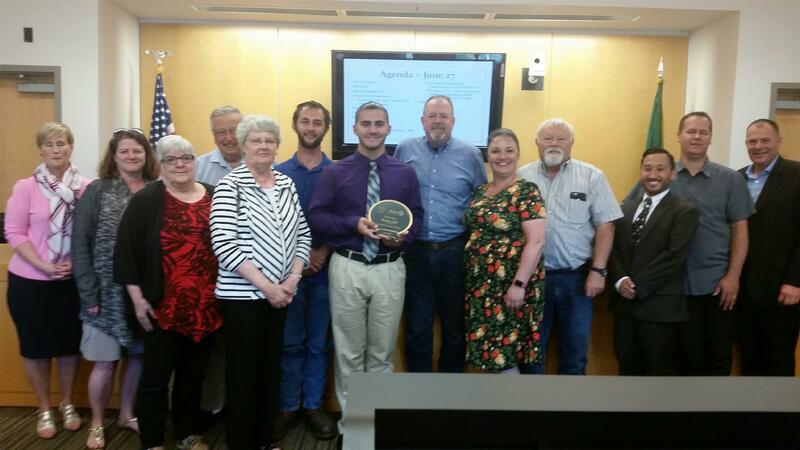 Nolan Lyle received a plaque for his award of Rotary Student of the Year along with a $500 scholarship. 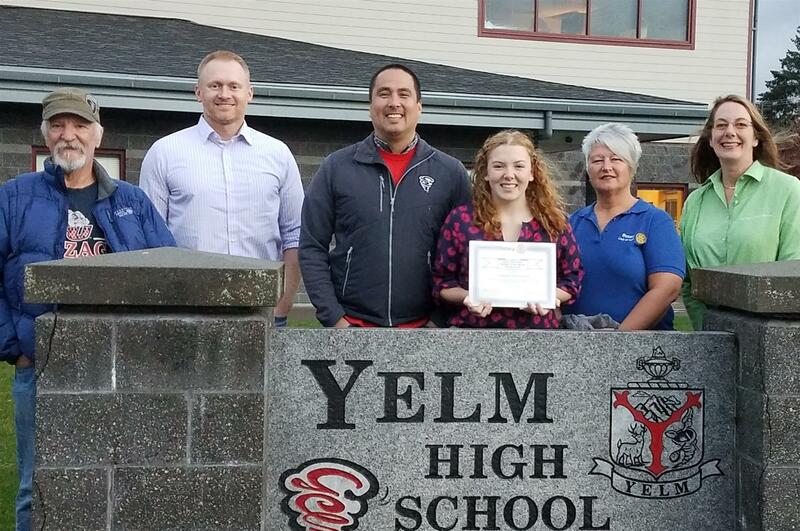 Tuesday night, June 27th our Student of the Year, Nolan Lyle was recognized by the City of Yelm's Mayor and City Council. Thank you to the City for supporting and partnering with us on this great program. 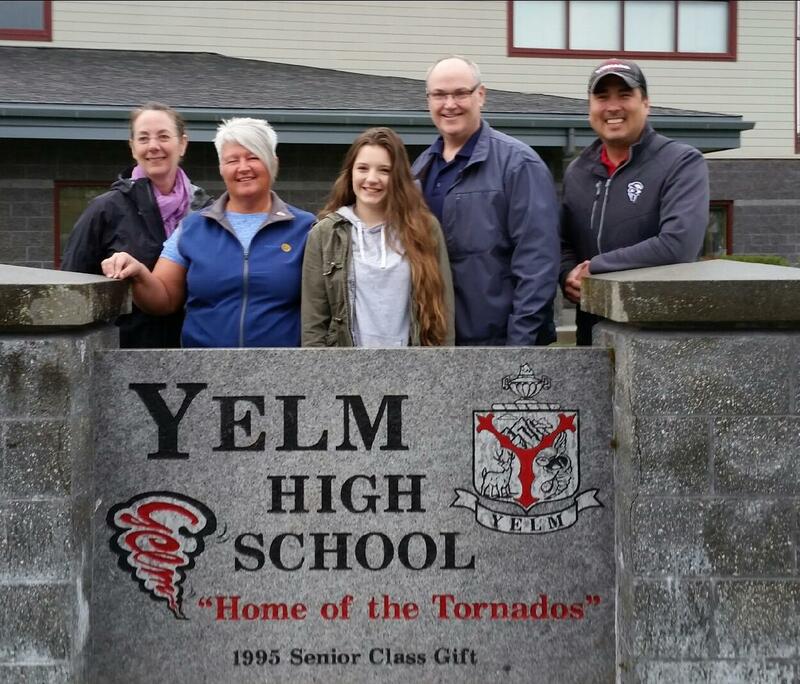 Nolan Lyle has been a student of the Yelm Community Schools for 13yrs as a Prairie Panther, Ridgeline Storm and Yelm High School Tornado. Over the years he has accumulated numerous awards and recognitions. 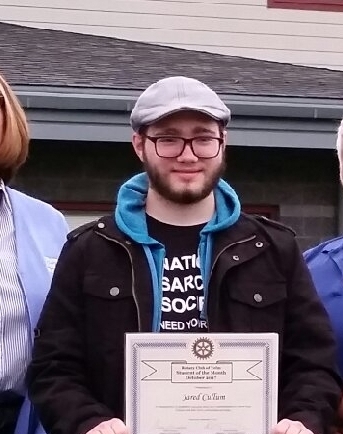 Nolan has been an avid volunteer for the Rotary Club of Yelm over the past 7 years, starting with the clubs first project, his brother Andre’s Eagle Scout project. 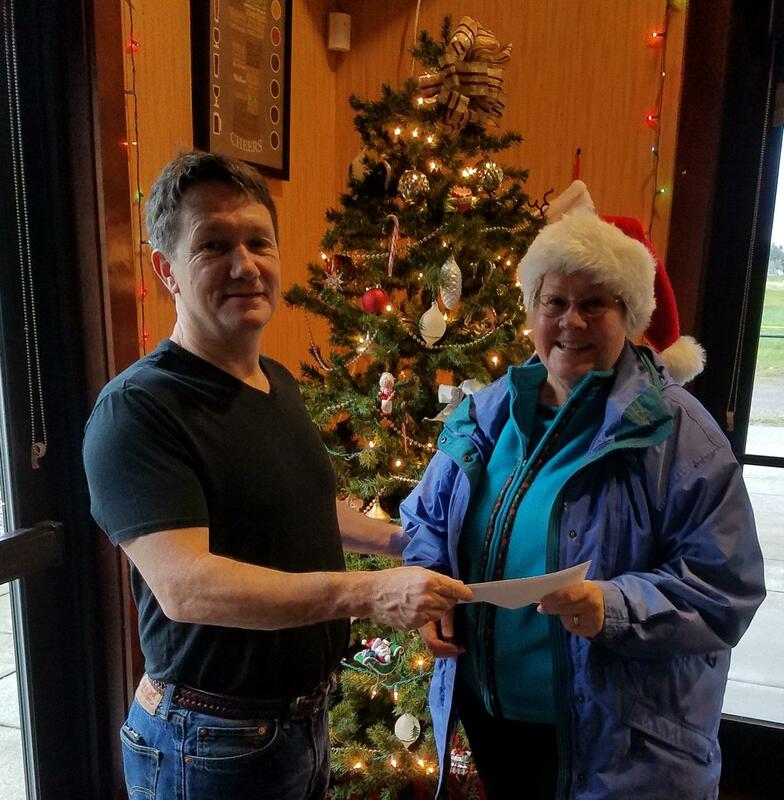 He has helped with highway clean-ups, 5k runs, Christmas in the Park and Prairie Days parades, delivering supplies for the YHS snack program, Home & Garden Show, First- Aid at the Backyard Badminton Jamboree and past President of the Yelm Community Interact Club. 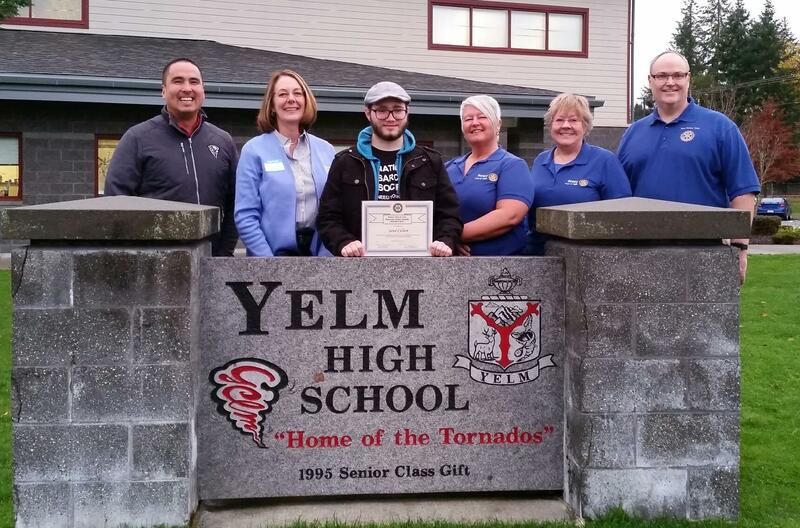 He has received the Rotary Club/City of Yelm Student of the month two consecutive years. He received Boy Scouts of America’s highest honor of Eagle Scout in January. He has participated in tennis and received the “Most Inspirational” award two consecutive years. He ran track his freshman year in the 4x100, 100 meter and pole vault. Sophomore year exclusively pole vaulted. Junior/Senior year throw discus and shot put earning him a place at districts in shot put. 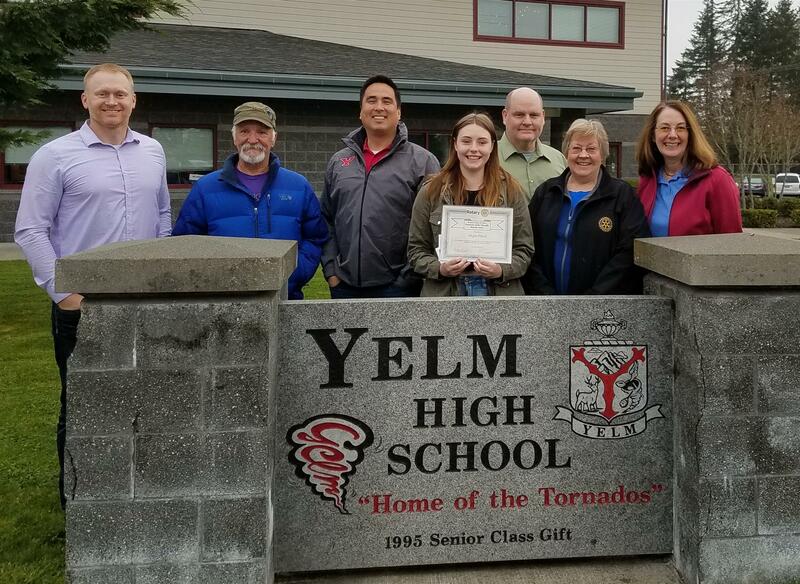 Nolan received the Yelm Park Advisory Committee/City of Yelm 2016 Good Citizenship Award, National Honor Societies YHS “Most Volunteer Hours” award 2 years consecutively. He was sponsored by the Yelm American Legion Post to attend Evergreen Boys State, where he was elected Mayor of the City of Fir and was first alternate for Boys Nation in Washington DC. 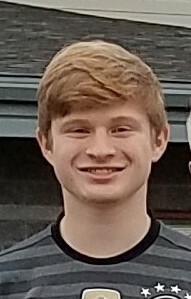 During his junior and senior’s years, Nolan has worked at Yelm Gymnastics Center as the head coach for boy’s gymnastics teaching male youth ages 7-13, Ninja Zone coordinator teaching boys and girls a program that incorporates aspects of parkour, gymnastics and martial arts. Assistant girls’ team coach teaching strength and conditioning. Nolan also holds a Black Belt in TangSooDo. In the summer of 2015 Nolan was a Camp Counselor for the Campfire Summer Camp program and earned the Silver Teapot award. Nolan has been a 3-year Sports Medicine student, competing at the Washington Career Technical Sports Medicine Association state competition. As a sophomore, he placed 6th in CPR and First-Aid skills, as a junior placed 1st in Student Forum and as a senior placed 2nd in CPR and First-Aid Skills and held the State Officer position of Treasurer his senior year. He volunteers at the Bald Hills Fire Department as an Explorer/Cadet and through the experience of the two programs, plans to pursue a career in para-medicine (Paramedic). On June 10th, the Bald Hills Fire Department Explorers competed in the Washington Association of Fire Fighters Annual MUSTER competition at the Washington State Fire Training Academy in North Bend. Four companies competed and they brought home the Golden Fire Extinguisher trophy, the first time in 7 years. His company also placed 1st in Mass Casualty Incident/Triage, Bald Hills placed 1st, 2nd, and 3rd in that category. He will continue to volunteer with the Fire Department this summer, take the physical ability test and work towards his EMT certificate this fall or winter. Nolan has a compassionate heart, wants to help others and truly embodies Rotaries moto of “Service above Self”. 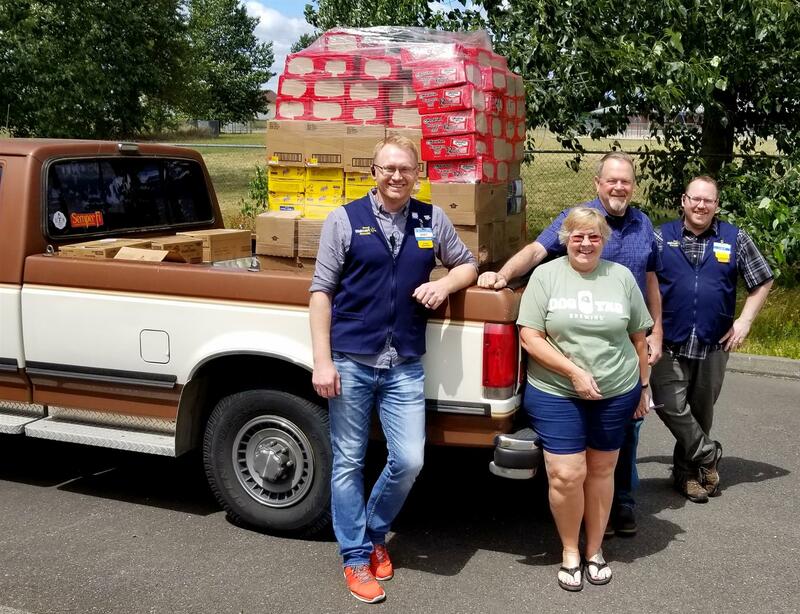 We are excited to join others in our community and help fill a summer need. 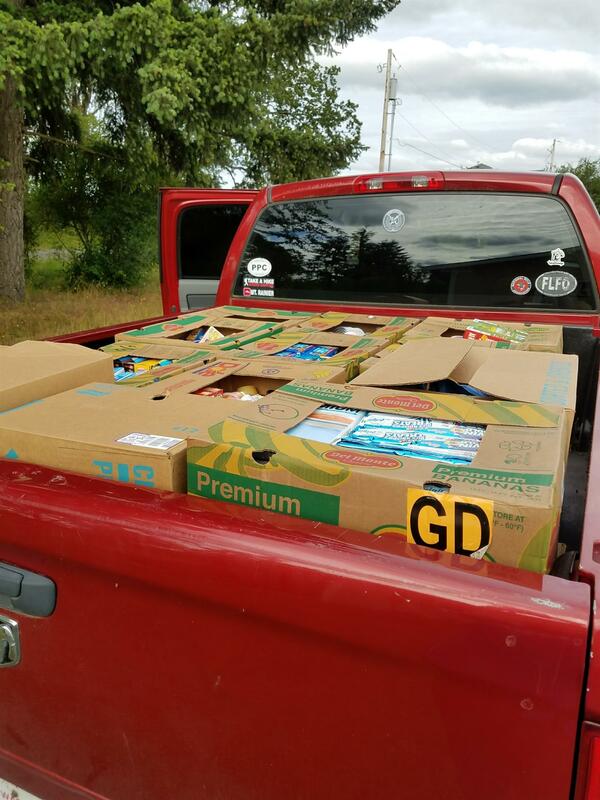 Below is the 3 pickup loads of food that were donated to our summer program to help fill the first week of bags. Each week we will be distributing about 125 bags of food to low income children in our community. The first distribution will happen on Tuesday, June 27th. Getting ready to fill the bags with food. We WANT your STUFF!! Are you cleaning our your house? Spring Cleaning? Moving? Downsizing? We are looking for donations. 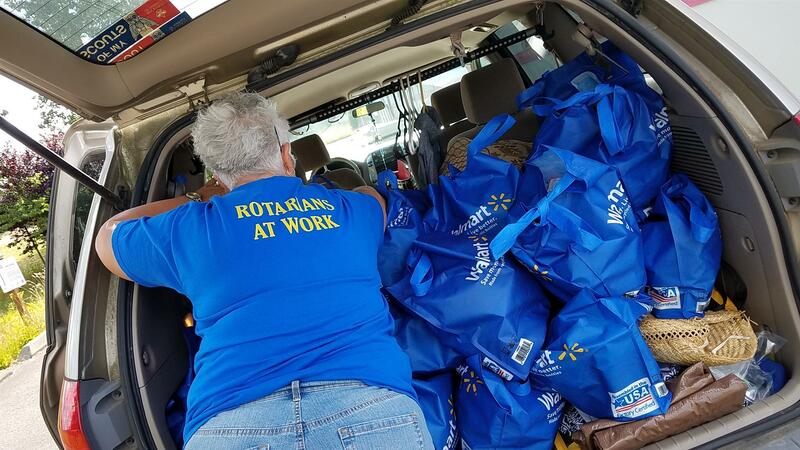 The Rotary Club or Yelm is a 501(c) 3 and will provide a receipt for your donations. Help us raise money to help those in our community! 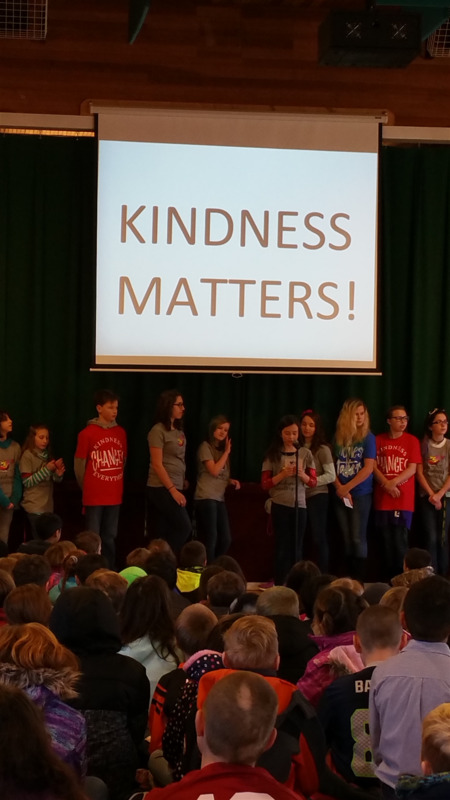 This week we were excited to be a part of the Lackamas Elementary Kindness Week for the 3rd straight year. It was a great time and we were honored to be a part of it. This is a national program and is lead by the leadership students. Their goal this year is to do over 8,000 acts of kindness during the week.